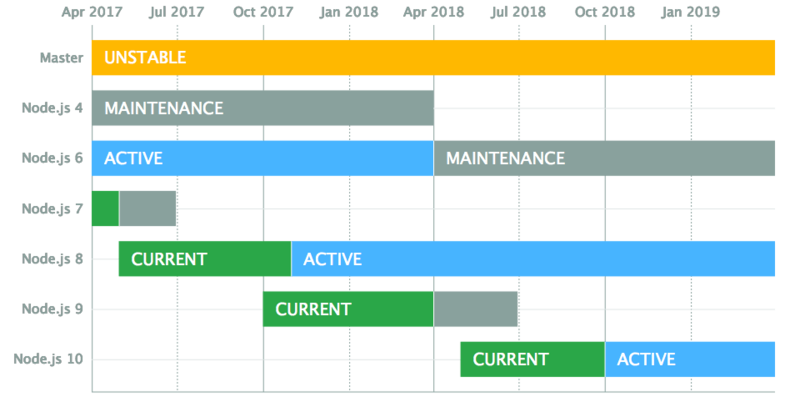 This article contains a summary of the most significant changes and features in the next major release of Node.js. With the release of Node.js Version 8 (on 30 May), we got the latest LTS (long-term support) variant with a bunch of new features and performance improvements. In this post, we'll go through the most important features and fixes of the new Node.js 8 release. [email protected] takes npm a pretty big step forward, significantly improving its performance in almost all common situations, fixing a bunch of old errors due to the architecture, and just generally making it more robust and fault-tolerant. It comes with changes to make life easier for people doing monorepos, for users who want consistency/security guarantees, and brings semver support to git dependencies. 4. Mikeal Rogers: Thank You. Good Bye. But Not Really. I’m incredibly proud of what we’ve been able to accomplish the last few years of Node.js. While I’ll forever be a part of this community, I’m ready to move on from the Foundation to the next challenge. The project is as strong as it has ever been with plenty of new project leaders who will surely fill whatever void I leave behind, and the project will end up even stronger for it. 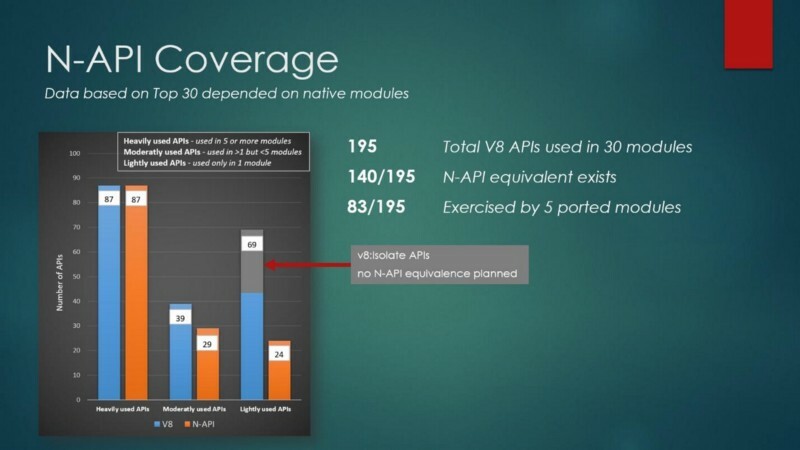 Existing native modules are written in C/C++ and directly depend on V8 and/or NAN APIs. 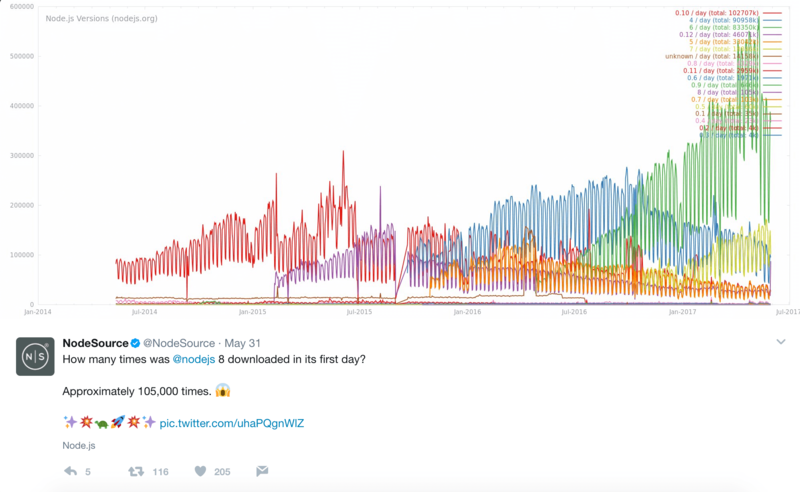 The result of this dependency is a lack of API/ABI stability guarantees, requiring native addons to be updated or recompiled for every major Node.js release. We are happy to announce that Trace is now also available as an on-premises solution. To learn more, check out our On-premises Node.js Monitoring Page. This post will focus on testing, building, and publishing a module, while Part II will focus on setting up continuous integration for updating the module. 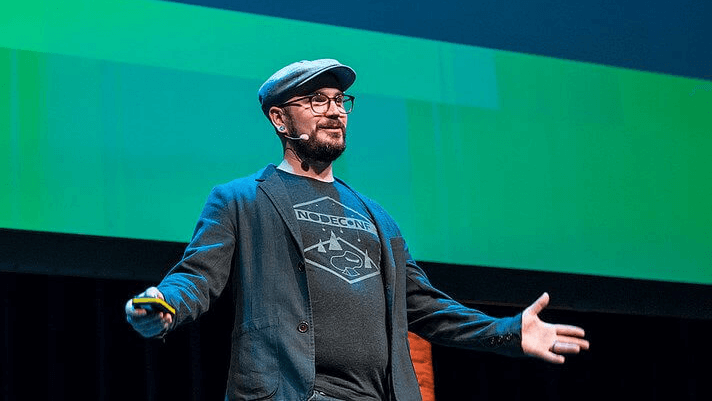 The Node.js Foundation wants you to design the official Node.js Interactive t-shirt this year! The Foundation will collect t-shirt art submissions until Monday, June 12. The winning design will be announced on Monday, July 10. The winner of the t-shirt design contest will be awarded a full access pass to Node.js Interactive. Two days of hands-on training to master microservices with Node.js with the CTO of RisingStack, Peter Marton. In the previous Node.js Weekly Update we read about npm auth becoming limited, a great Node.js Streams Guide, an AWS Lambda & Nod Tutorial & about the upcoming Node conferences.